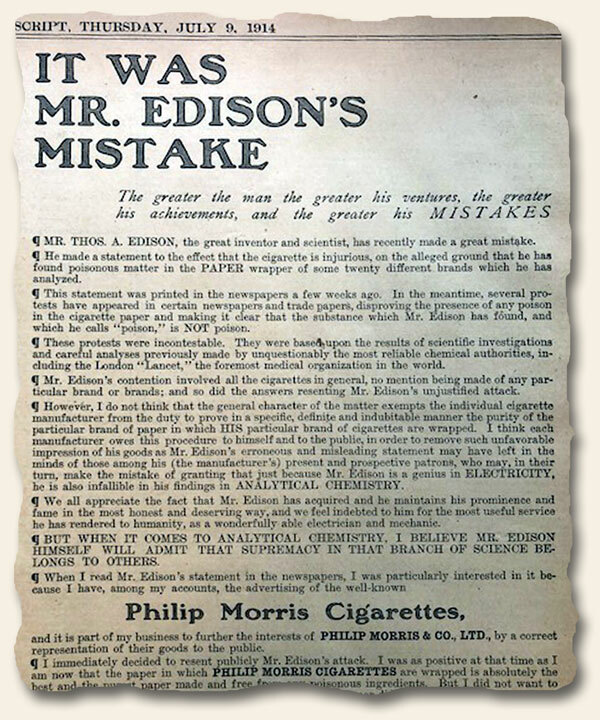 We recently found a rather interesting half-page notice in a Boston Evening Transcript, July 9, 1914, in which the Philip Morris company pushed back on an article from a few months prior in which Thomas Edison is quoted as saying he believes cigarettes to be bad for one’s health. I don’t know about you, but the ad comes of a bit self-serving. Of course time would prove Edison to have actually been more gracious than what truth would eventually reveal.